I think i will be in trouble. Its impossible to resist this beauty. Oh-oh. I think one of us is soon going to be destitute and living in a cardboard box under a bridge somewhere. BUT, we will have Shulam!!! Ha, ha Donna. Where you talking to my husband recently? He said the same thing. She has two bracelets also and you can see them on her hands. 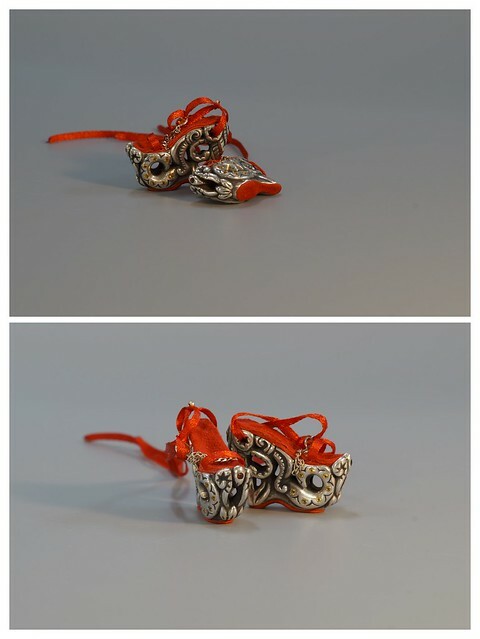 All accessories of silver 925 with garnets, citrines and phianites. Shoes made by my own design. 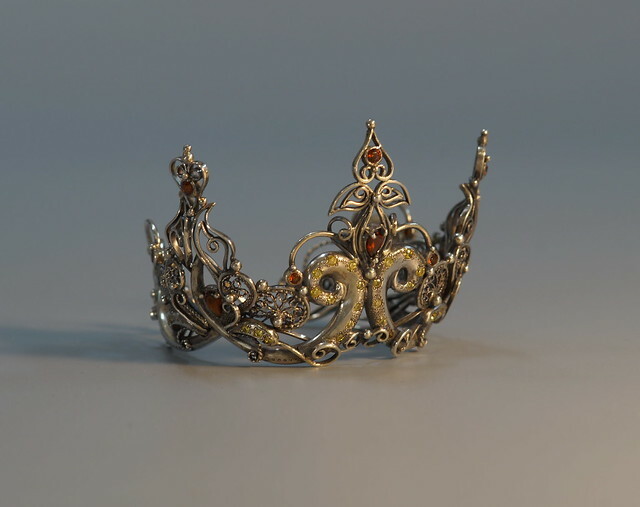 Crown made with lots of different elements of filigree in ooak-design. Wow, look at these tiny-tiny lashes and eyebrows! She is really enchanting :-) Thank you for all these pictures!!!! I think she would also look terrific wearing a robe with a hood!! I really love the different colour you have used to line the joints. It's an additional dimension to her. Good luck with the auction. Let me introduce Lady Butterfly. She is so tender and calm, as for me. And let her butterflies will bring Summer for us! 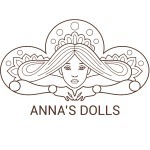 The faces on your dolls are so exquisite! I love your accessories too- beautiful precious things. Soooo another treat for me ... my waiting room is full of glamorous beauties, today's secret is Madame Butterfly .. who is also mine mine mine!!!! For those who know me, butterflies and tattoos are both my thing. I am covered in both and after seeing Ming, I asked Anna for this beauty. Woohoo what a month ahead!! Dina, huge congratulations on both beauties. Both dolls are simply stunning and unique. Dina, you are very naughty!!!! I'm so pleased for you ! Congratulations Dina, she is beautiful! !